The Hidden Curriculum understands translation and language in the broadest, most creative and expansive way. This is the second translation made by The Hidden Curriculum, a project currently in its pilot form. This project will assemble translations from a diverse set of texts that are deemed central to artistic production by individuals from different cultures, ethnicities, languages, gender identities, historical times, and geographies. Our first translation and previous blog entry was made in response Antonio Negri’s keynote address on the final day of the Creative Time Summit 2015 in Venice. Our group was attracted to this speech because it was translated simultaneously and because of the content of the text. In the 30 minutes of the keynote one can observe what Borges might have meant when he said “The original is unfaithful to the translation.” At times it seems that the meaning is being completely lost, or perhaps simply transformed. The translator and the speaker speak for different lengths of time, the body languages seem complimentary rather than translated, and the intonation and pauses are unfaithful. The words, one suspects, are adaptations. We divided into groups, and each group attempted a translation of this speech. Each of these responses seeks to map out how close or how far we want to be to the original. Out of these explorations we will create editorial guidelines for future submissions. The first translation yielded an “exquisite corpse” like translation of the poem “Fifth Elegy” by Rainer Maria Rilke. Translation has traditionally been understood to take place from one verbal language to another, but it can also take place from verbal language to the nonverbal language of bodily gesture. 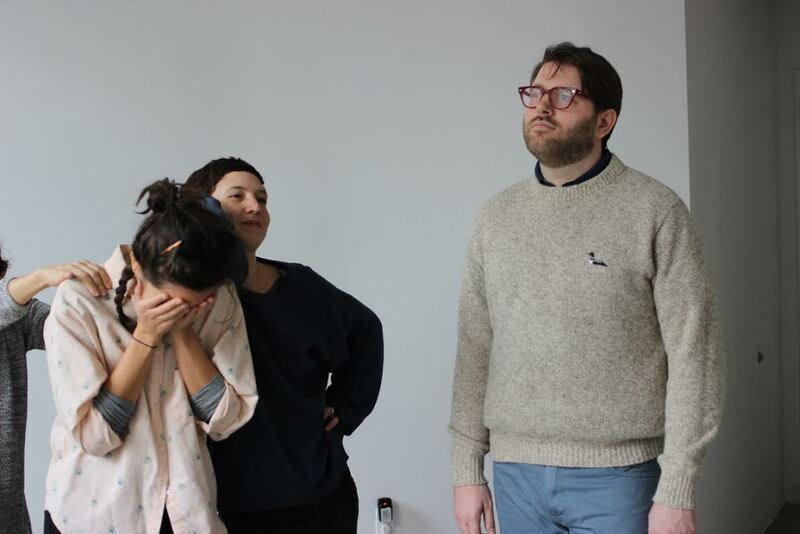 On 3/4/16, the Hidden Curriculum working group engaged in a performative workshop adapted from Augusto Boal’s Theatre of the Oppressed techniques, namely those of Image Theatre. The idea was to create images of oppression/resistance with the body as a way of thinking about how power is expressed and contested through the body. We began by quickly responding to a succession of prompts such as gentrification, mansplaining, labor, history, and English by individually creating images with the body. 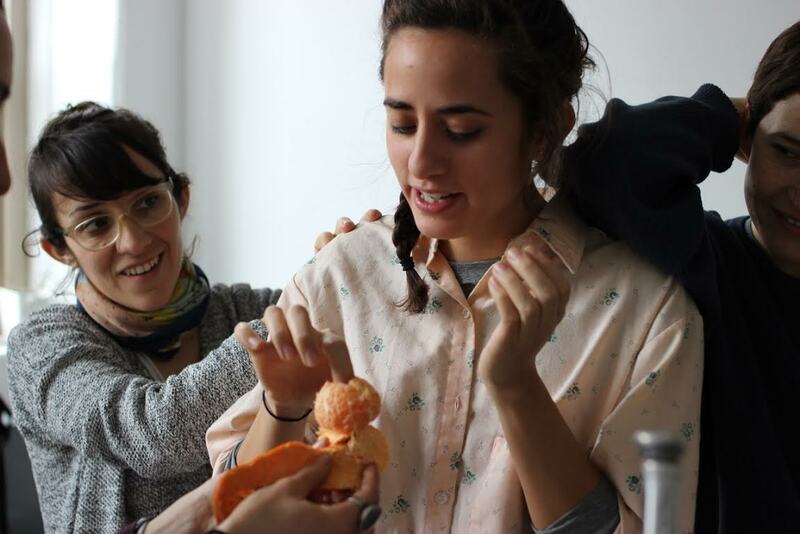 We then moved into creating collective images with our bodies, with participants electing to enter an image and tweak it or somehow arrange themselves or their movements to adjust the relations of power expressed. 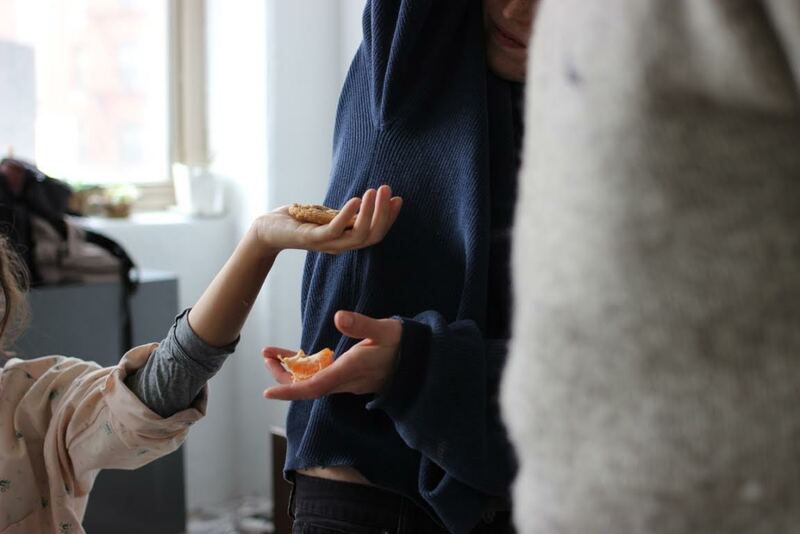 This is a selection of images of some of the moments from the workshop and the collective response to the prompt: hunger. About the contributor: The Hidden Curriculum project being developed by a working group of CUNY (City University of New York) graduate students and faculty: Clara Chapin Hess, Adam Golfer, Miatta Kawinzi, Gabriela Vainsencher, Daniel Alexander Matthews, Ishai Shapira Kalter, Paola Di Tolla, Arkadiy Ryabin, Alix Camacho, Estefania Velez, Eric Magnus, Katy McCarthy, Rebekah Smith, and Paul Ramirez Jonas.